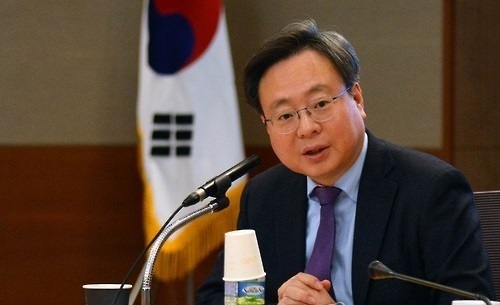 South Korea increased fiscal spending on infrastructure-building projects in the first three months of the year contributed to the creation of more jobs, the finance ministry here said Friday. The government spent 14.9 trillion won carrying out social overhead capital projects in the January-March period, up 200 million won from its earlier plan, according to the Ministry of Strategy and Finance. The move aimed to expand the state's role in leading economic recovery for Asia's fourth largest economy. Total budget spending by the government and public institutions reached 89.3 trillion won over the three-month period. The ministry said the extended government spending contributed to raising the number of newly employed people in the construction sector by 164,000 in March. It said the government will make constant efforts to encourage public agencies to follow through on the budget spending plan as fast as possible in order to enhance its fiscal impact on the overall economy.